Valve has shut down Steam trading bots associated with popular skin trading site OPSkins, resulting in an estimated $2 million in lost Counter-Strike: Global Offensive items. The move came in response to OPSkins launching ExpressTrade, a free service that allowed item traders to circumvent the seven-day hold on CS:GO trades Valve established in March. A user on the CS:GO subreddit /r/GlobalOffensiveTrade has compiled a spreadsheet tracking the banned bots, their inventories, and the estimated dollar value in each. By this estimate, there are 2,843 Steam trading bots in the OPSkins group that had CS:GO items in their inventories. The totals amount to more than 1.5 million individual items worth nearly $2 million. This is worth a shot: Here’s our list of the best sniper games available on the PC. Valve shut the bots down June 21st, but the company issued a cease and desist notice to OPSkins shortly after the launch of the ExpressTrade service June 6th. OPSkins in turn acted quickly to notify customers that they should withdraw Steam items from OPSkins prior to that date to avoid losing them. Valve noted that the ExpressTrade feature wasn’t simply allowing users to get around the seven-day trade hold. 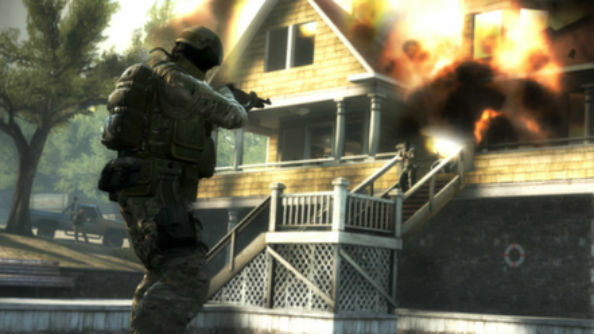 It was “already being used by other businesses to avoid Valve policies,” according to the update on the official Counter-Strike site. This is, most likely, an oblique reference to skin gambling sites, which were one of the reasons Valve instituted the hold to begin with. OPSkins says it isn’t shutting down or going anywhere, and that customers’ funds are safe. The site will continue to offer trading services for other games, and the site’s management says they’ve been discussing agreements with individual publishers that would make them the go-to third-party trading platform for those titles.